Camping Tauro ist ein Camping in Benicàssim, Castellón, am am Meer. Dieser Camping hat Plätze mit Parzellierung, mit Schatten, ohne Schatten und plätze mit etwas Schatten. Camping Tauro liegt nah an einem Sandstrand. Es besteht die Möglichkeit Mobilheime zu mieten. Der Camping verfügt über einen Spielplatz. Für sportive Urlauber hat der Camping verschiedene Radrouten. Es gibt ein Animationsprogramm. Der Camping verfügt über ein Freibad und ein Planschbecken. In nächster Umgebung können Sie im Meer baden. Auf Camping Tauro ist Schnorcheln und Windsurfen erlaubt. Plots of 50 m², delimited and equipped with water and electricity. Wohnzimmer mit TV und Schlafsofa von 135 cm, Zimmer mit 2 Einzelbetten von 90 cm und ein weiteres Zimmer mit 1 Bett von 135 cm. Klimaanlage, WC und Dusche. Kühlschrank, Gasherd, Besteck, Geschirr und Geschirr. Terrasse von 30 m2 mit Gartenmöbeln und Parkplatz für 1 Auto. Die Unterkünfte sind mit Bettwäsche, aber keine Handtücher ausgestattet. Haustiere sind im Bungalow nicht erlaubt. Dieser Inspektor besucht jährlich den Camping Tauro und inspiziert diesen Platzen anhand von rund 200 Einrichtungen und weiteren Anhaltspunkten. Der Inspektor ist ein Mitarbeiter von ACSI und arbeitet nicht für den Campingplatz. Mooie en vriendelijke camping schoon en alles netjes en zeer vriendelijke benadering van personeel en plaatsen ok. Komen hier terug als we in de buurt zijn. Big double gravel pitch (Gold) with two sinks on the large pitch. Pitches are sloping which was great for drainage but levelling ramps are needed on some pitches. Toilet facilities in the middle block are brand new and of hotel quality, lots of hot water in the showers and sinks. Work was in progress to what looked like installing sinks for washing. The other two toilet blocks are old but still good. Bar is open every day at 8 and provides bread, the site also does paella and fish and chips on certain days, excellent value for money. Wifi is good and free. Town is a easy ten minute bike ride or a 30 minute leisurely walk, there is a small supermarket two minutes from the site and a large one about 15 mins walk away. The beach is an easy ten minutes stroll. The site staff are excellent and always happy to help (Paco, James and Pursey (may not have the lady\'s name spot on, sorry. The cleaning lady is always chatty and happy to help)). They also have caravan storage and their own shop a couple of minutes drive away. Cracking site, big pitches, free wifi, friendly atmosphere and excellent ablutions. Will be returning for a long term stay in 2019. Almost a nice site but the permanent pitches taking up most of the site were very untidy and make the site look bad. We were not told of the almost perfect sanitary block half way down the site but saw a note from a previous reviewer. The one near us was awful and should be knocked down and I wish the receptionist had explained about the new one. Other than the terrible permanent caravans it would have been a lovely place. They are developing static homes which looked nice. Bar and Restaurant were fine. Lovely young lady in the restaurant helped us by explaining the food on the menu 5* for her. We did eat there once. fairly standard stuff, palatable. We asked for a large pitch and were allocated 2 pitches back to back. With a standard we would not have had space for the caravan car and full size awning. Shame about the permanent caravans and awning as otherwise it would have been a great site (using the new block). Short 10 minutes (NOT 3 as stated earlier) to the sea and promenade. Nice places to visit in the local hills for walks. The pool was not ready in June and they started to clean it.for the summer even though it was 25+ degrees. Schaduw was helaas niet te vinden, maar gelukkig wel te creëren. Geen stokbroodje op de camping 's morgens, maar wel bij een supermarktje in de buurt. Camping ligt in een woonwijk waar best veel verkeer doorheen rijdt. In tegenstelling tot de meeste Spaanse campings is de toiletbril op deze camping wel nodig. Elektra was niet gemakkelijk aan te sluiten: erg ver weg en aan de andere kant van het straatje, dus auto's moesten er overheen rijden. Voor ons niet de meest ideale camping, maar wel voor los Españoles, die er gretig gebruik van maken. Jammer,dat de plaatsen aan de kleine kant zijn en dat er in het voor seisoen geen broodjes op de caming te verkrijgen zijn. Nice large pitch with sink on each one with cold water. Toilets/showers clean and hot water plentiful. The shop was closed and nowhere on site to get bread but a short walk to the shop was ok. 15 minute walk to the beach. No bins or recycling on site but large bin for all waste outside the side gate. Lots of empty Spanish caravans on most of the site which they seem to use at the weekends. The site is a 15 minute cycle from the centre of Benicassim along a safe cycle way, 3 minutes from the beach and 45 minutes from Castellon Port. There is a small shop within 200m selling local produce and delicatessen goods. There are two restaurants within 200m, frequented by the local Spanish residents, serving very local and excellent tasting dishes. The site restaurant was open for drinks but closed for food during our stay. There were a number of activities such as wine tasting, orange picking, paella lunches laid on with Spanish lessons and local cooking lessons being planned for the future. Within 15minute cycle there is a choice of supermarkets - Mercadona, Lidl, Consume. There is a bus stop immediately outside of the site entrance. Heading in all directions there are some great, and easy, cycle rides. The site owners, now in the hands of the third generation, are the most welcoming we have come across. There is a real focus on customer service aimed at making your stay special. Pitches are delineated with trees, which have been trimmed to make access easier, unusually each pitch has a wash basin and running water. Parts of the site are a little tired however whilst we were there a small team had commenced a renovation and maintenance programme. We would definitely recommend and have already booked a return stay. Möchten Sie Camping Tauro buchen oder nähere Infos? Das geht über die u.g. Angaben. Auf der N340. Von Barcelona, Ausfahrt Benicasim-Süd zur Avenida Jaume I, Nr. 295. Von Valencia, Ausfahrt Benicasim-Süd zur Avenida Jaume I, Nr. 295. 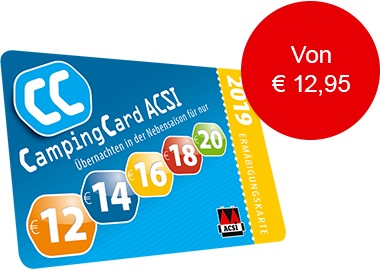 ACSI Eurocampings schickt Ihre Info-Anfrage an "Camping Tauro" durch.